Password managers are a new form of technology that allows a user to safely store their login and password information – from a plethora of websites – and have the same access allowed across multiple devices. This can be an especially useful tool for professionals in a variety of business arenas, including real estate. Most business professionals know that it’s best practice to not use the same username and password for all of their accounts, but after setting up a few, it becomes increasingly more difficult to remember them. Let’s explore the usefulness of a password manager and why you may need one for your business. The convenience and time-saving ability of auto-fill for commonly used addresses and credit card information is a plus. While many web browsers offer the ability to remember form details, a password manager will store your information securely – and grant access only to you. A password manager allows you access to your accounts across multiple platforms with a few simple clicks. This is a great feature for those who are constantly on the go and need to be able to access a variety of data for clients, meetings, etc. Most password managers go beyond just storing passwords and form data. Your password manager can hold on to security questions, membership info, prescriptions – in short, any private information that requires a safe place to be stored and can only be retrieved by you. While all your account information will be at your fingertips, to get into your password manager, you will simply need to remember one master password to gain access to all of your stored information. A password manager also allows you to securely share your passwords, which is a plus for partners and colleagues who share business accounts. Real estate professionals often utilize a variety of different websites daily to find and list new properties. 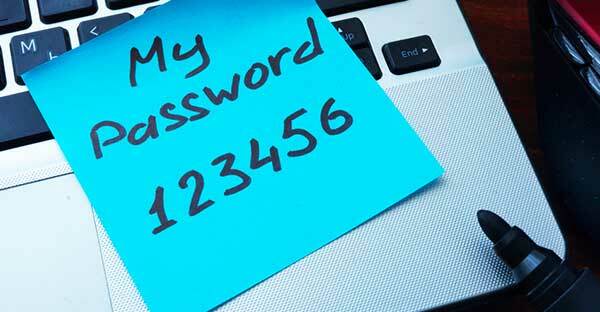 Keeping these passwords memorized can lead to eventual confusion. Writing them down can be risky and possibly lead to a security breach, which will cause catastrophe. A password manager securely keeps these login details safe, saving you time and allowing you to focus more on your productivity while cutting the frustration you may have in trying to remember everything. Let your password manager remember it all on your behalf.